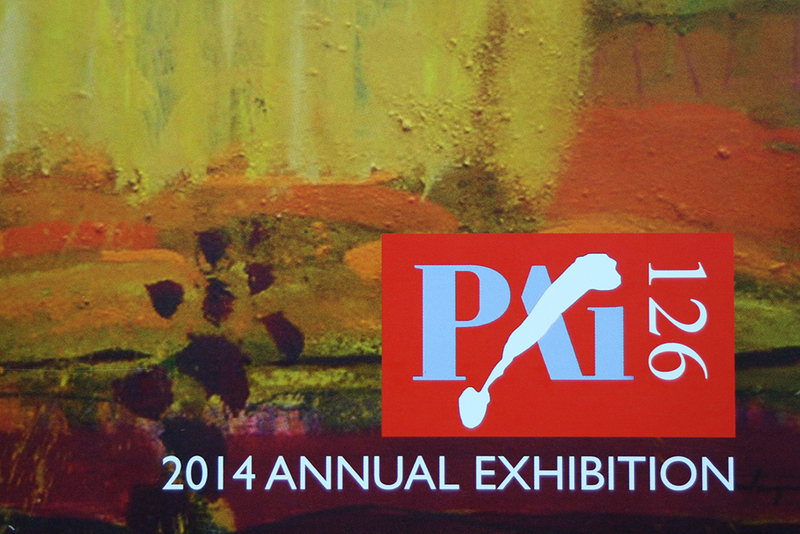 This year is only the second time I have shown work at the Paisley Art Institute. The last time was 2003 with a painting called ‘Dressed in Black’ pictured on the right. People and figures used to feature a lot in my work before I became involved in atmospheric semi-abstraction. 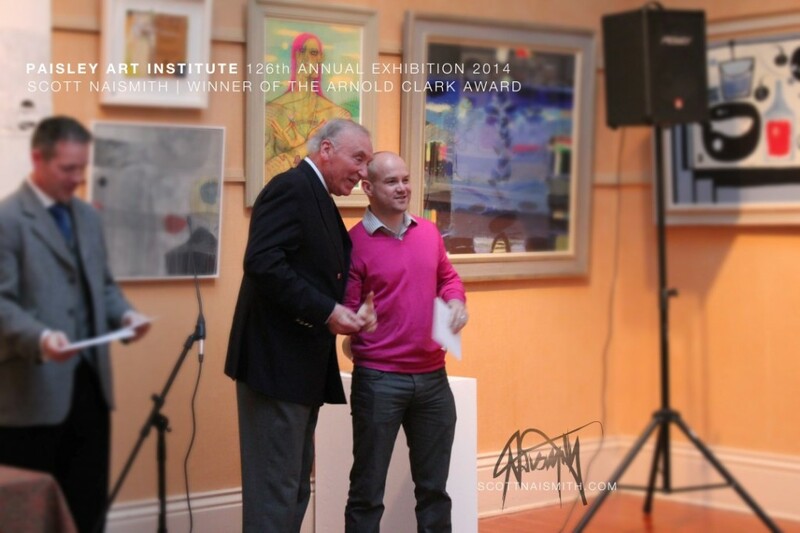 This year I was showing 2 works, ‘Harris Rocks’ and ‘Consonance & Dissonance’, the later of the 2 winning what was a headline prize after the Arnold Clark award was this year increased to the value of £1000. I used to win a lot of awards at school, winning ‘First in Art’ in every year of my high school education at Hutchesons’ Grammar School in Glasgow. However this is the first award I have won in 14 years as a professional artist and it surprised me just how much it meant. 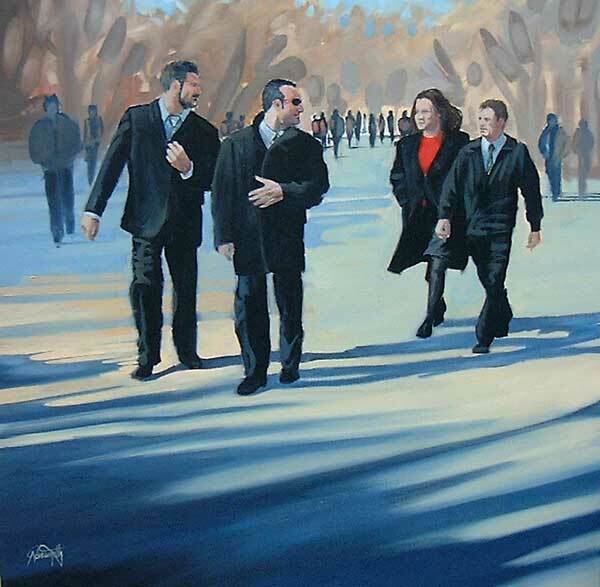 I was always of the opinion that the ultimate satisfaction is that someone would pay good money for the privilege of looking at one of your paintings every day in their own home. 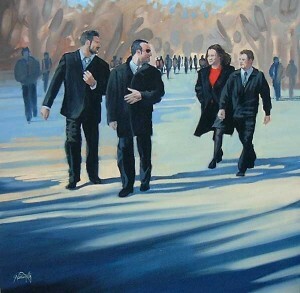 Sales have always been important for me to be able to continue to paint on a full time basis. 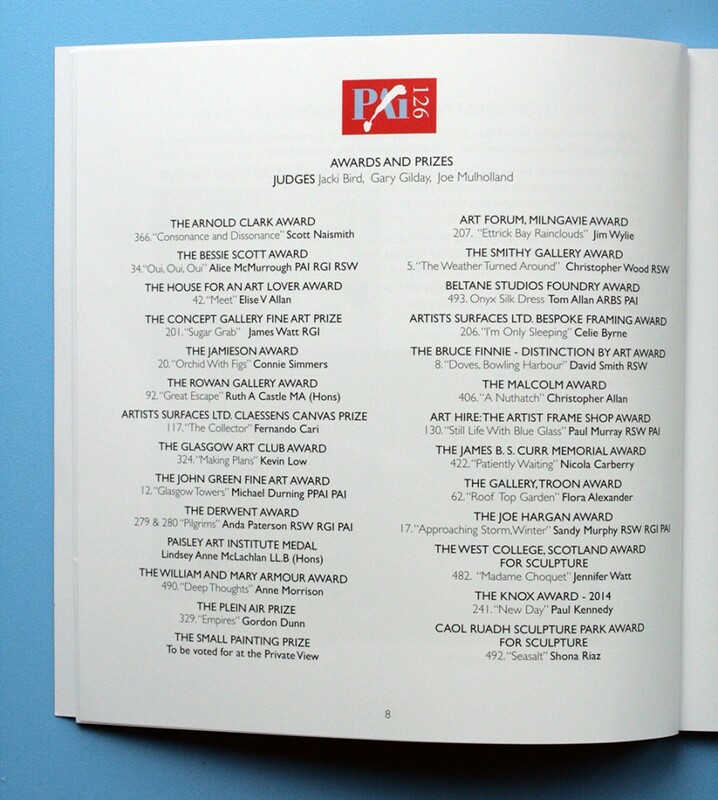 Winning this award has reminded me of how important it is to enter works to the annual shows but it also gives me great confidence that my work has taken the interest of more than just the private collector. I’ll be 36 next week (closer to 40 than 30! 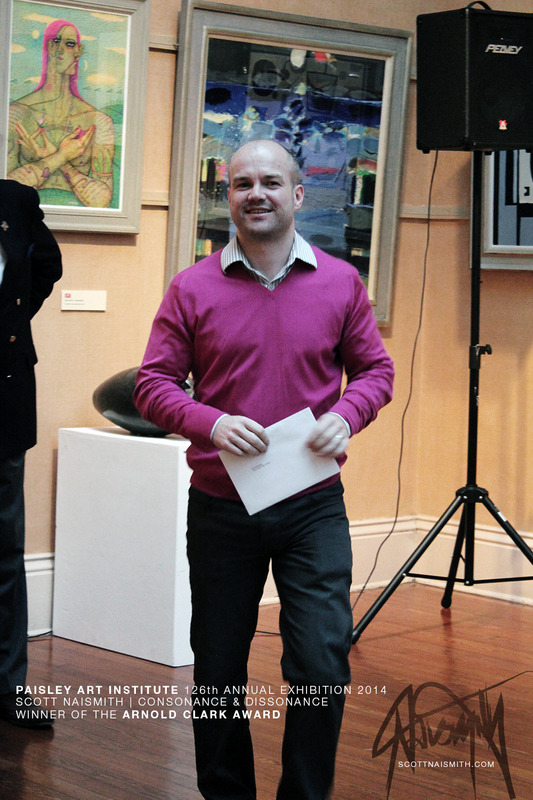 ), so was also delighted when a nice lady congratulated me saying she was happy to see a young artist winning an award. 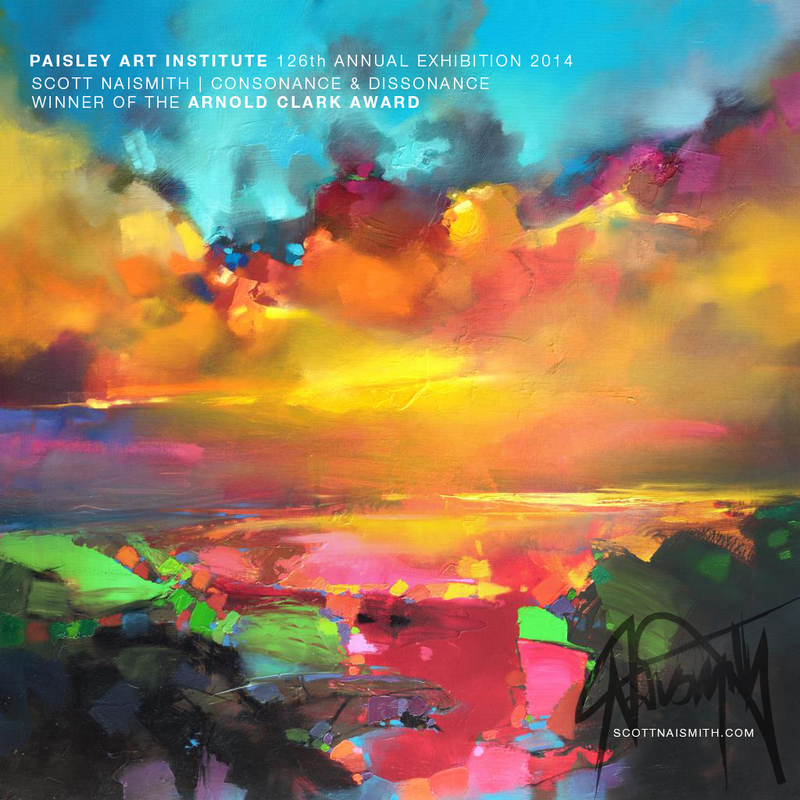 Big thanks go out to all at the Paisley Art Institute for putting on such a great show and also to Arnold Clark for such an amazing and generous cash award. A well deserved win Scott, I’m so pleased for you and proud to have two of your paintings hanging on my wall, they make me happy every single day! Good on you Scott: hard work gets “recognised” eventually! I’m looking forward to visiting the show.